This is an area where cries of assistance or information may be posted. 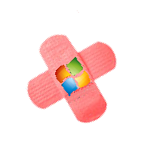 Microsoft has pulled its MS13-061 Exchange patch. After reports of content damage to Exchange Server 2013 after deployment, Microsoft has withdrawn the MS13-061 update for Exchange Server released this past Tuesday. MS013-61 is very important because it allows someone to send an email and get arbitrary code to run on the Exchange server itself. It’s already publicly disclosed so expect the bad guys to move on this quickly. Problems do not affect Exchange Server 2007 or 2010 and Microsoft says that those versions can proceed with testing and deployment. In the meantime, they have removed the patch from Windows Update and other distribution systems. Knowledge Base article KB2874216 explains the problem in more detail and provides remediation guidance. The content index (CI) for mailbox databases shows “Failed” on the affected server. The KB article describes 2 registry key changes to make. After rebooting the server, the problem should be bypassed. That is 2 months in a row that MS has pulled a buggy patch back from distribution. Oh, for crying out loud. Why don’t these guys just go away? According to Wired, Anonymous is giving itself a weekly deadline now, a new attack every Friday. How entertaining. Following the Tuesday compromise of tear gas maker Combined Systems’ website, Antisec attacked a Federal Trade Commission webserver which hosts 3 FTC websites. They claim this hack was in opposition of the controversial international ACTA copyright treaty, widely protested around the world for its potential impact on freedom of expression. Those responsible for this week’s attacks spoke with Wired, and claimed that the attacks renewed a promise, previously noted in the defacement of CSI, and reiterated on the FTC websites, “every Friday will bring a new attack against government and corporate sites under the theme of #FFF” (‘F’ the Feds Friday). They’ve decided try to balance between protest defacements like these two most recent ones, and posting material that can damage firms and agencies. Jerry Irvine of the National Cyber Security Task Force told the New York Times last week that attacks would become more frequent, describing the collective as “unstoppable,” because of the poor state of online security. On the other side of the pond, a record $6 trillion of fake US Treasury bonds were seized by Italian anti-mafia prosecutors. The bonds were uncovered in hidden compartments in three safety deposit boxes in Zurich. Bloomberg reports that Italian authorities arrested eight people in connection with the probe, dubbed Operation Vulcanica. The Italian authorities also uncovered fraudulent checks issued through HSBC Holdings in London, and another $2 billion of fake bonds in Rome. Those involved in the financial fraud case were apparently planning to buy plutonium from Nigeria, according to police monitored phone conversations. Good work guys. I hope they round up all involved, especially those with the plutonium. You know that stuff isn’t going to be used to power wind up toys.